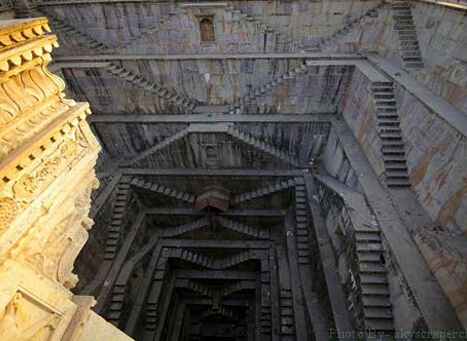 Raniji Ki Baori, built in 1699 by Rani Nathavati Ji is one of the popular step wells in Bundi Town, Rajasthan. It is the largest Baori in Bund with about 50 stairs. During the medieval era, this baori was very popular meeting place for the local people for social and religious reasons. 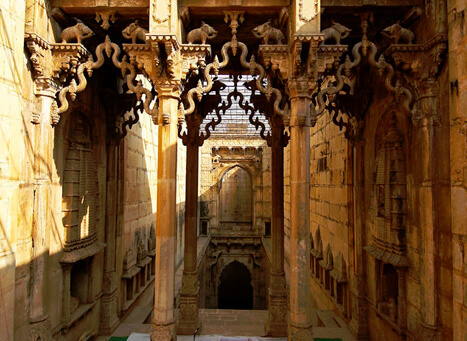 It has a narrow entrance with stone structures of elephants facing each other and is a multistoried structure. At the entrance, there are four pillars, which showcases beautiful figurine and there is a tall standing arch shaped gate. As the history behind this baori goes, Rani Nathavati Ji was the younger wife of ruler Rao Raja Anirudh Singh. She gave birth to a son, Maharao Raja Budh Singh. But the previous wife of the king who was unable to give birth to a baby became envious of the younger queen. Thus, Rani Nathavati Ji gave her son to the previous queen of the raja and devoted herself for the well being of the common man. This is the reason she started the construction of this Raniji Ki Baori. There is a worshipping place at each of the floors of the stepped well. 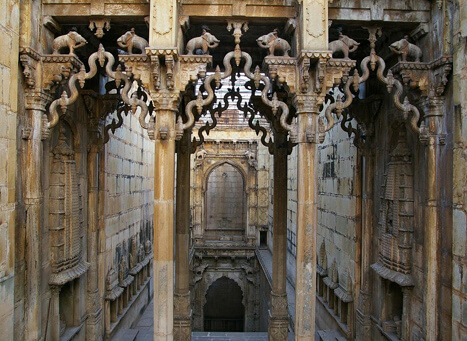 Raniji Ki Baori is well carved with ogee bracket work. Raniji Ki Baori is located at a distance of 35 Km from Kota Station in Bundi. The nearest airport is the Jaipur Airway, which is at a distance of 206 km from Bundi. It is well connected by road with the other important places in Rajastha. The entry fee is very nominal and extra Rs. 100 needs to be paid if one wishes to carry a camera in the premises. Tourists can spend some peaceful time savoring the history of this baori. 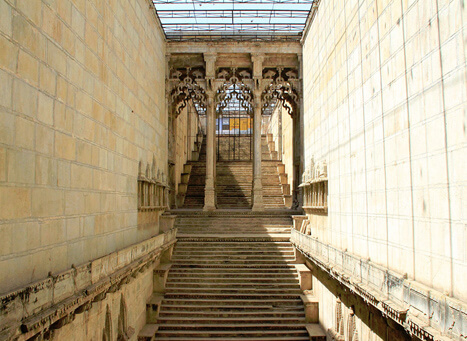 There are stalls outside the stepped well, where one can taste local Rajasthani snacks.